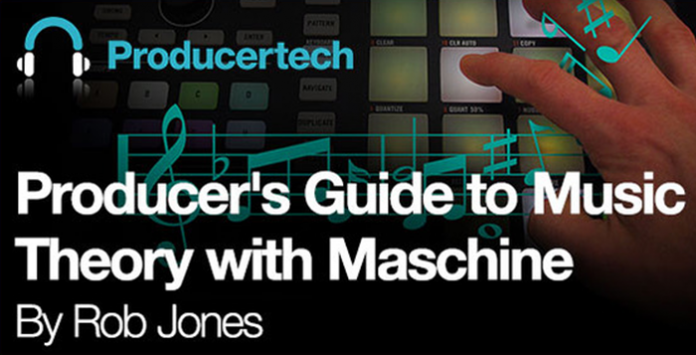 After explaining what the key of a song means, there is a guide to the major and minor scales, showing what they are and how to play them with Maschine. This lesson teaches how to form basslines in a minor key, applying the knowledge from the previous lesson into a series of examples showing how to play a whole load of patterns, ranging in length and complexity. This lesson shows how cool accompaniment can be constructed purely by playing intervals from a particular scale, with each pattern creating a different mood and harmony. This lesson explains what chords are and many of the different types, from simple triads, to more complex jazzy chords, like sevenths and ninths. The principles are put into practice in an example project, by playing numerous different sustained and stabbed chord patterns over a baseline. This lesson extends the knowledge from the previous lesson, showing several examples of how to create longer and more complex chord progressions, that either stay in one key or modulate to other keys. These sequences compliment the main groove and also form the basis of an epic breakdown in one example. This lesson shows how different melodic parts are conceived, in order to create all of the basic building blocks for a track. In addition to a bassline and main chord sequence, several arpeggiated lead parts are made, as well as a lush strings pattern. This lesson gives a rundown of the practice projects that come with the course, providing an example to each of the exercises, which include identifying the key of a song from various musical parts, as well as creating basslines and chord sequences in various keys to form different harmonic sequences.